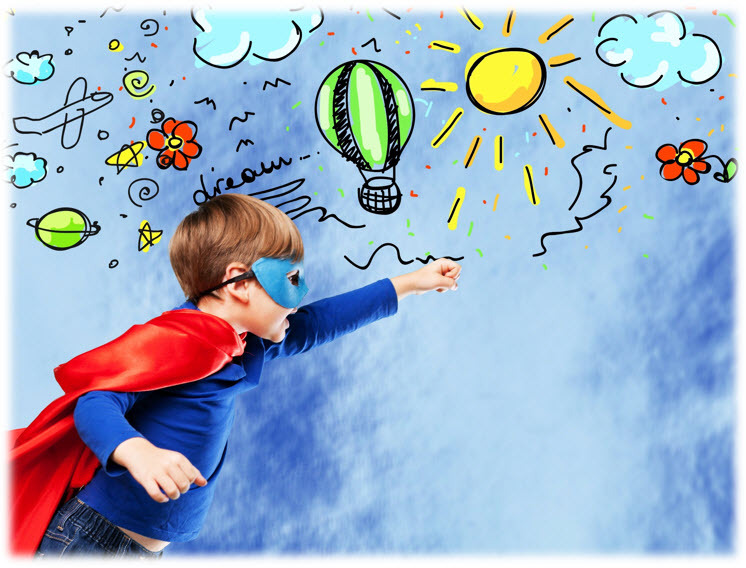 How can you spark your child’s imagination? How do you empower them to be creative? With innovative LTD products, of course! 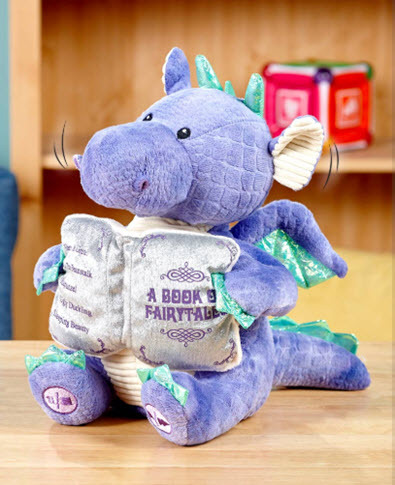 Whether they love dinosaurs, geography, unicorns or fire-breathing dragons, LTD has something for every child to spark their imagination and help them grow while having fun. Read on for a few of our favorite gift ideas, plus some fun tips on how to encourage your child’s imagination. They Want to Go Where? 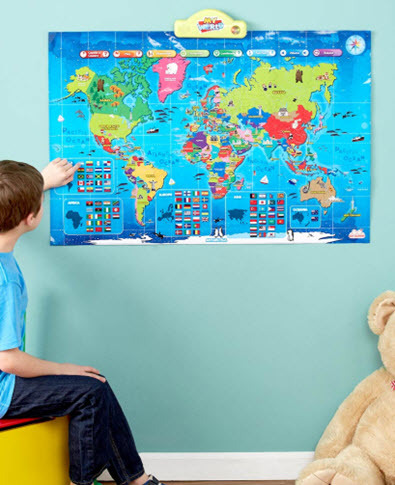 Exploring this map, your child will learn fun facts about all kinds of different countries and be inspired to travel all over the world…in real life or in their imaginations! Over 1,000 facts about 92 countries. Talking map has a quiz function. Buttons are easy to use. 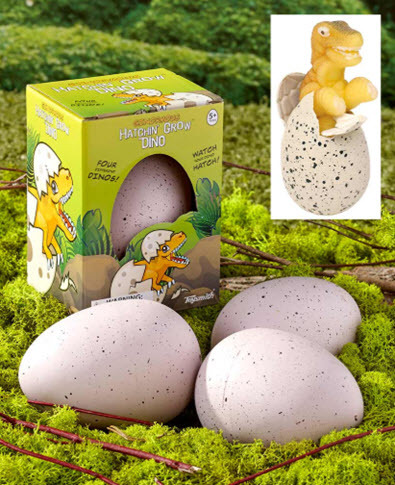 Your little explorer will love pretending they’ve unearthed a mysterious egg. What will break out of its shell? A T-Rex? A Velociraptor? A Triceratops? A Stegosaurus? Submerge the eggs in water for 48-72 hours to find out! They’ll get 2 dinosaurs to play with after they hatch. They’ll learn patience while having fun. 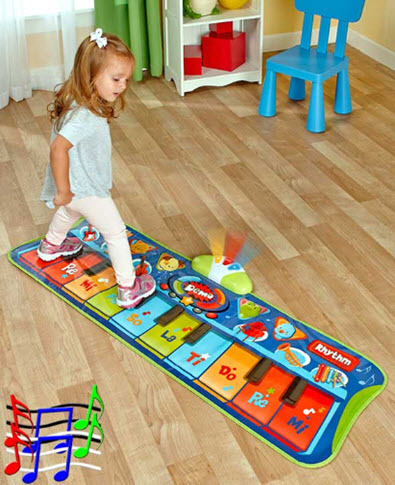 Instead of using their hands, kids get to use their feet to make music. The interactive piano mat records and plays back the music they create, and includes 20 demo songs that will inspire them to create their own songs. Records and plays back their songs. Keeps them up and active while they create. Includes 6 musical instrument sounds. Plus 4 animal sounds and rhythm selection. 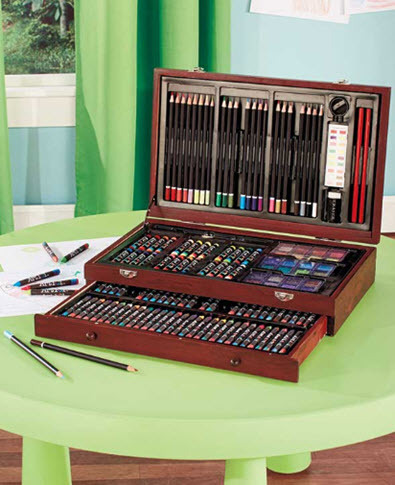 With this set, your child will be creating art right before your eyes. They can use the crayons to draw castles and princesses, or the mixing palettes and paint to create their own colors. The possibilities are endless! Listening to their new friend Dalton tell the story, children will have a blast picturing in their minds what’s taking place. From there, they can reenact it or draw what they think the characters and setting look like. 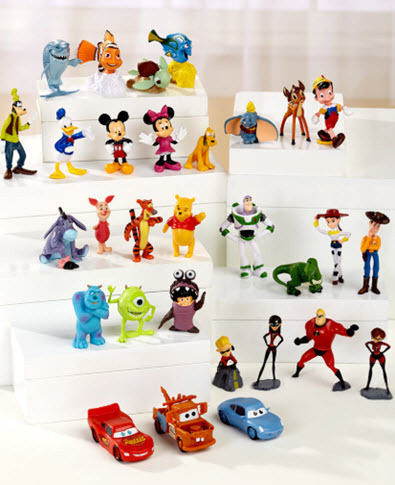 Your little one will have tons of fun playing with this huge collection of Disney characters. They can use them to act out scenes from their favorite Disney TV shows and movies, or mix ‘n’ match them to create new stories. Small enough to take with them. Reading books can take your child to a different world. This fun book teaches them about friendship and the power of believing. 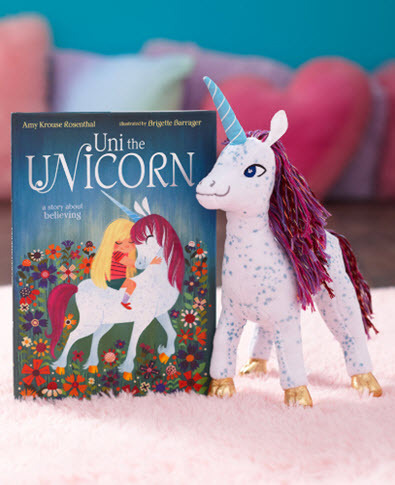 The story will come to life when they play with the unicorn plush. The book has 44 colorful pages. Unicorn plush is over a foot tall. 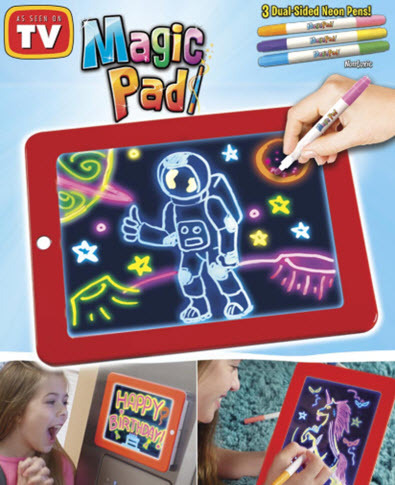 Your child will love drawing on this pad. All they have to do is press the button to see it light up in shades of green, blue, yellow, purple, red and white. Will they draw a flying dog or a three-headed alien? The possibilities are limitless! Comes with 2 suction cups and an easel stand. Dual-sided pens clip to the back of the pad for storage. Read books and have them act out their favorite scenes. Gather their stuffed animals. Have them put on a show! Dedicate a place in your home for creating. It doesn’t have to be an entire room. Always have art supplies such as paper, markers, etc. on hand so they can make things like signs for secret caves or flowers for a pretend wedding. Provide dress-up items for dramatic play. Start a story of your own and let them finish it. Don’t hover. Give them space to play on their own.